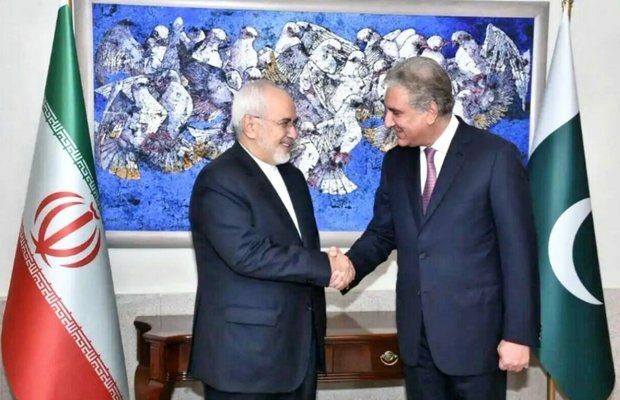 “Pakistan stands with Iran in this hour of need,” Foreign Minister Shah Mehmood Qureshi said during a meeting with his Iranian counterpart Javad Zarif in the federal capital. The Iranian foreign minister was on a two-day visit to Islamabad during which he held formal talks with Prime Minister Imran Khan, his Pakistani counterpart Shah Mehmood Qureshi and also visited the GHQ to meet Army Chief General Qamar Javed Bajwa. 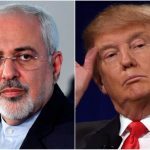 Zarif’s visit to Pakistan comes as both Tehran and Islamabad are strugglingwith fraught relationships with Washington, which withdrew from the 2015 nuclear accord in May and re-imposed sanctions on Iran. Prime Minister Imran Khan said Pakistan during his tenure would make all efforts to deepen cooperation with Iran for the benefit of both the countries. Imran in his victory speech said that he wanted to improve ties with all its neighbours including Iran. 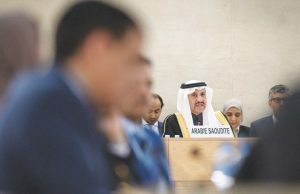 The prime minister is traditionally in favour of maintaining a delicate balance in ties between Saudi Arabia and Iran. 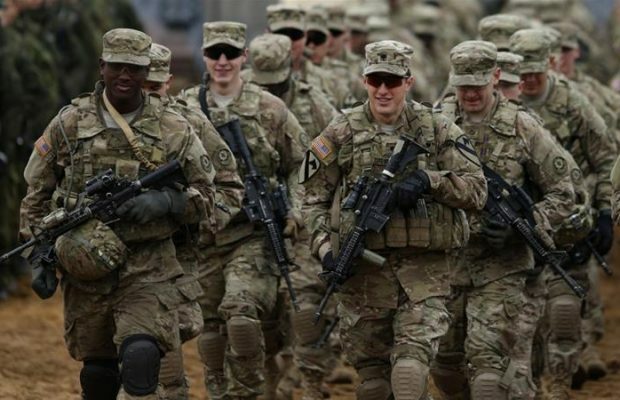 He was a staunch opponent of Pakistan sending troops to Saudi Arabia to fight Iranian-backed Houthi rebels in Yemen. This was perhaps the reason Iran dispatched its top diplomat to Islamabad in an effort to strengthen ties. 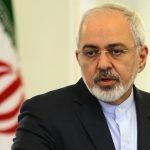 An official handout issued by the Prime Minister office said Imran received Zarif for a meeting, who conveyed to him the greetings and best wishes of the people and leadership of Iran on assuming office. 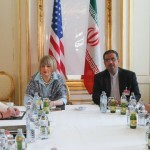 Zarif stated that Iran wished continued progress and prosperity to the people of Pakistan. He delivered a message of Iranian President Hassan Rouhani, inviting the prime minister for the upcoming Asian Cooperation Dialogue (ACD) summit in Iran, in October 2018. Both Pakistan and Iran are members of the organisation. 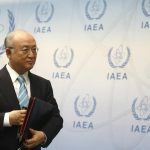 Iran currently holds the chair of the organisation. Welcoming the foreign minister, the prime minister thanked the Iranian supreme leader’s support for Kashmiris in their struggle for self-determination as well as for the manner in which Pakistan Independence Day was celebrated in Iran. The prime minister thanked the foreign minister for the sincere wishes. 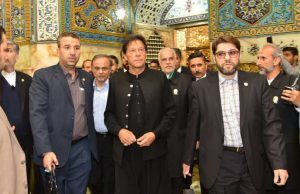 Recalling his recent telephonic conversation with President Rouhani, the prime minister said Pakistan and Iran were connected by inseparable bonds of historic, religious and cultural affinities. He added during his tenure, Pakistan would make all efforts to cement the relations in various areas to the benefit of both countries. The prime minister also emphasised restoring complete peace and stability in the region. Referring to cancellation of blasphemous caricatures competition in the Netherlands following the Government of Pakistan’s strong condemnation and protest recently, the prime minister underlined the need for Muslim countries to confront Islamophobia with one voice. “The love and respect of the Holy Prophet (pbuh) was part of every Muslim’s faith and no one could be allowed to disrespect it,” the statement read. Zarif held formal talks with Shah Mehmood Qureshi at the Foreign Office where the two had wide-ranging talks covering bilateral issues as well as current regional situation. Welcoming his Iranian counterpart, the foreign minister noted the potential of strengthening the already strong bilateral relationship. Both the sides underlined the need to promote bilateral relations in all areas of cooperation. 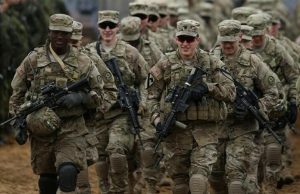 Detailed discussions were also held on regional and global issues — including the situation in Afghanistan and the US’ decision to unilaterally withdraw from the JCPOA. It was agreed to host the next rounds of Bilateral Political Consultations and the Joint Economic Commission at early dates. Useful exchange of views on strengthening cooperation in economic, trade and connectivity sectors, cultural and people to people links, took place. While expressing satisfaction over cooperation with regard to the Pakistan-Iran border, it was agreed to continue close consultations through various forums in this regard. As regards JCPOA, while supporting Iran’s principled stance, Qureshi expressed the hope that remaining parties to the agreement would uphold their commitments in letter and spirit. 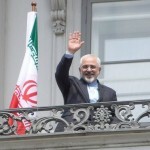 Zarif thanked the government and people of Pakistan for their hospitality and warm welcome. Meanwhile during meeting between the army chief and Zarif, regional security situation and other matters of mutual interests were discussed. The army chief said Pakistan was taking sincere steps for peace and security in the region. The visiting dignitary acknowledged and appreciated Pakistan’s contributions for conflict prevention in the region.